Let’s face it, today’s consumers are skeptical. Can you blame them? With all the marketing hype and sales pitches people receive each day, we are all a bit jaded. However, to make the sale we must overcome our prospect’s natural skepticism and create a relationship of trust. One of the most powerful tools in your marketing arsenal is customer testimonials. It’s one thing to toot your own horn. People expect you to sing praises about your own products or services. Because of this, there is an inherent disbelief in any marketing message that comes from you. But when other people, who have nothing to gain from your success, say good things about your products or services, your believability shoots skyward. Providing third-party testimonials do just that and should be a part of your marketing message. Testimonials are powerful. They create believability, credibility, and a sense of security for your customer. They help to break down the natural barriers and distrust that most buyers feel towards you or your business. Watch any infomercial and you will see that they are loaded with customer testimonials. Why? Because they work! Testimonials have the magic power of persuasion. Look at the success of the George Foreman grill. He has sold millions of dollars worth of this product. Better said, the company that developed the grill has sold millions of dollars worth of grills by using George Foreman’s testimonial. People have an inbred automatic response to mimic what other people do. Why do you think television producers play recordings of laughter when a punch line is said during a sitcom. Because they know that it will make the live audience laugh, even if the punch line wasn’t funny. Strange? Even stranger is that the people in the audience know that it’s just a recording of fake laughter but producers have found that when the recorded laughter is turned up, the live crowd laughs even louder. It’s a natural instinct to mimic what others are doing. An extra bonus is that testimonials will also create more loyalty in your customers. Once people have put their name and reputation on the line by publicly endorsing a product or service (or person), they will stand behind that decision even if they find out it’s a bad one. In addition, when you ask your customer for a testimonial, they will feel as though they are helping you and your business grow. Because they feel as though they have a direct hand in the success of your business, they will stay loyal. There’s more to obtaining testimonials than just asking your customers for their comments and feedback. If you want to have powerful testimonials that catch your prospects attention and build a relationship of trust, you should consider the following testimonial strategies. Try to get a testimonial from your customer as soon as possible. This could be the day you make the sale or within the first week after you make the sale. 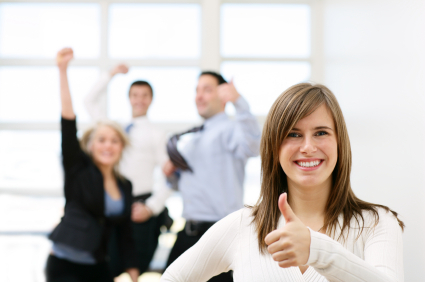 Your customer will be at their “giddiest” and most motivated to write you a great testimonial during this time period. Don’t wait until the honeymoon period is over. Consider having them write the testimonial before they leave your office or store. Always ask your customers to include your unique selling proposition (USP) in the testimonial. For instance, if your USP includes exceptional customer service, same day installation, and a money-back guarantee then ask your customer to attest to those qualities. Have your customers be specific in their testimonials. For instance, if you delivered your product the same day your customer purchased it, tell your customer to include the time that it arrived. If you delivered some kind of outrageous act of customer service have them write specifically about what you did and how it helped your customer. Ask your customer to talk about the struggles they were having previous to receiving the benefits of your product or service. Most likely, the reader will have had the same or similar struggles and will empathize. This will only make your prospect more interested in receiving the benefits of your product or service. Have your customer state their credentials. This will make their testimonial even more persuasive because their comments will be perceived to come from a credible source. People tend to believe people in positions of perceived authority. Always try to get a picture with them using your product or service. As a matter of fact, try to take the picture yourself so that you know you’ll get a good one. Take several and make sure they are showing the benefits of the product or service. Pictures double the effectiveness of your testimonial and bring the testimonials to life. Make sure you get permission from your customers to use their testimonials in your advertising. Thank them profusely and let them know that it is testimonials like theirs that help your business grow. Ask them if you cannot only use their name but the town (suburb) they live in. Addresses, even if it’s just a city name, increase the believability of the testimonial. It demonstrates that they are real people who live in the same community as your prospects. Now here is a controversial tactic but it has worked every time for me. Let’s suppose your customer procrastinates to send in their testimonial. Call them up and mention that you know they are very busy but that you value them as a customer and their testimonial is important to you. Suggest that to save them time and hassle, you will draft a testimonial to them and they can make any editing changes they want. Then send it back. Of course, you’ll want to send a self-addressed envelope. You get the perfect testimonial and they don’t have to do any work. Again, this tactic has worked 100% of the time for me. Thank your for purchasing your spa at Spa City USA. It was a great experience helping you in your selection process. You were well informed which made our job easy. We wish we had more customers such as you who take the time to make a good decision. We know you had several choices from which to purchase your spa and we were flattered and grateful that you chose to purchase your spa from us. We consider it an honor when someone shops around and comes back to purchase at Spa City. From time to time we ask a few of our special customers for their feedback. We often use this feedback as a testimonial in our marketing material. Because we had such a pleasurable time with you Frank, could I ask you to jot down a few words about your experience at Spa City and the people that helped you so that we can use it in our marketing material? You would be helping us tremendously in our marketing efforts. You might want to include specifics such as names, positive incidents, ! and how you feel today about owning your spa. Again, this will help us as we market our products and services here in the Seattle area. Enclosed you will find a form to use and a pre-paid envelope with which to mail it back to us. This testimonial request letter butters up your customer and makes him feel as though he is really helping out your business (and he is!). It makes him feel special and that his comments will count. It also makes it easy for him to fill out and send back. The easier it is to respond, the higher your response rate will be. Always follow-up a testimonial request letter with a phone call and a letter, especially if it hasn’t come back after a couple of weeks. If you thank your customer for their testimonial it will increase the good will you already enjoy and confirm the customer’s choice for extending their good name and giving you a testimonial. Take a moment to send a personal letter thanking them for their time and effort. The following are a couple of example letters you might use as a guideline for thanking your customer. This sample letter is designed to go to people who have given you an unsolicited testimonial after purchasing their spa or pool (or your product or service). I wanted to take a moment to thank you for your kind remarks in the letter I just received from you. Your praise of our store and its people is most gratifying. It is unusual for someone to take the time to express his satisfaction with a product or services. It’s people like you who make our special effort worthwhile. I am very pleased that you like your new Maxis spa as much as you do. When I sold it to you, I really believed it would help your back problems and allow you to relax after a long days work. I hope it gives you many years of enjoyment. Thank you again for your kind words. I’m proud to know I’ve been of service. If you need anything don’t hesitate to call. Thanking your customer always tends to improve your rapport and solidify your relationship. Besides, it’s common courtesy. It’s not enough to receive customer testimonials but knowing how to use them in your marketing activities is what makes the difference. The following are seven ideas you can use to implement testimonials into your marketing program. Create a “What People Are Saying…” report ­ I once heard the story of an independent consultant who after proposing on a project, was asked for his resume. Instead of sending his resume, he made copies of all the testimonials people had sent him (hundreds) and put them in a shoe box and sent them to the company. Needless to say, he got the project. Create your own “What People Are Saying…” report by putting copies of your best testimonials together in a booklet and giving them to prospects. This will become a very powerful marketing tool for you. Put testimonials on your website ­ Scatter testimonials from customers all over your website. Many webmasters make the mistake of creating a testimonial page and putting all the testimonials one page. Place testimonials wherever you make bold claims. If you have testimonials pertaining to a specific product, place those testimonials under that product. Always include a testimonial in your advertising. You’ll never see an ad for a weight loss product without a testimonial. Why? Because those advertisers know that people are skeptical of all ads (not just weight loss ads) and testimonials overcome skepticism more than any other marketing tool. In every direct mail piece you send, include a one or two page full of testimonials. This gives automatic credence to whatever offer you are sending. You can make the testimonials a part of the sales letter but from my experience, sending loose leaf pages of testimonials make a persuasive statement. Include customer testimonials on an audiotape. It’s one thing to read a testimonial but another to hear a real live person. You can even include the pictures and bios of those people on the tape in your mailer. I know of one marketer who sells information products who includes an audiocassette tape with his sales letter. All the audio tape contains is a recording of customers praising his product. It’s powerful. Do joint endorsed mailings. ­ If you have an associate that has customers who might be good prospects for what you sell, ask if he would like to participate in a joint endorsed mailing in which your associate would send a letter to his customers endorsing (giving a testimonial) you and your products and services. In return you send a letter to your customers endorsing your associate’s products and services. It’s a win-win. Do an endorsed referral letter promotion. ­ This tactic is similar to Idea # 7 but the promotion is done with your customers. Hold a contest of some sort and award prizes (incentives) to those customers who send in the names and addresses of three friends who they know would benefit from your products or services. Then send each of the three friends a letter with the testimonial of the person who referred them. This could give your referral program a jolt. Chances are, you have not been diligent in asking for customer testimonials. I would urge you to make a commitment today to start asking for testimonials from 100% of your customers. You can’t have enough customer testimonials. Make a plan today to begin a “Customer Testimonial Drive” and set a goal to obtain 100 customer testimonials within the next three months. Put a thermometer on the wall if you have to, but start today. Draft your testimonial request letter and send it out this week. Then start following up on your requests by phone next week. Testimonials are a powerful tool in helping you to break down your prospects skepticism and fear. When customers give you a testimonial it works to solidify your relationship with them because they have “gone public” with their statement of support for your business. Ask for testimonials from your customers as soon as they purchase your product or service. Ensure that their testimonial is very specific. Always get a picture of your customer to use with your testimonial. Don’t forget to thank your customer for pledging their public support for your business. Find innovative ways to integrate your customer testimonials into your marketing program. Now go and get some great testimonials!